Heat pumps offer an energy-efficient alternative to conventional heating and cooling methods such as gas, oil or air conditioning. Like your refrigerator, heat pumps use electricity to move heat from a cool space to a warm space, making the cool space cooler and the warm space warmer. During the heating season, heat pumps move heat from the cool outdoors into your warm house and during the cooling season, heat pumps move heat from your cool house into the warm outdoors. Because they move heat rather than generate heat, heat pumps can provide equivalent space conditioning at as little as one quarter of the cost of operating conventional heating or cooling appliances. 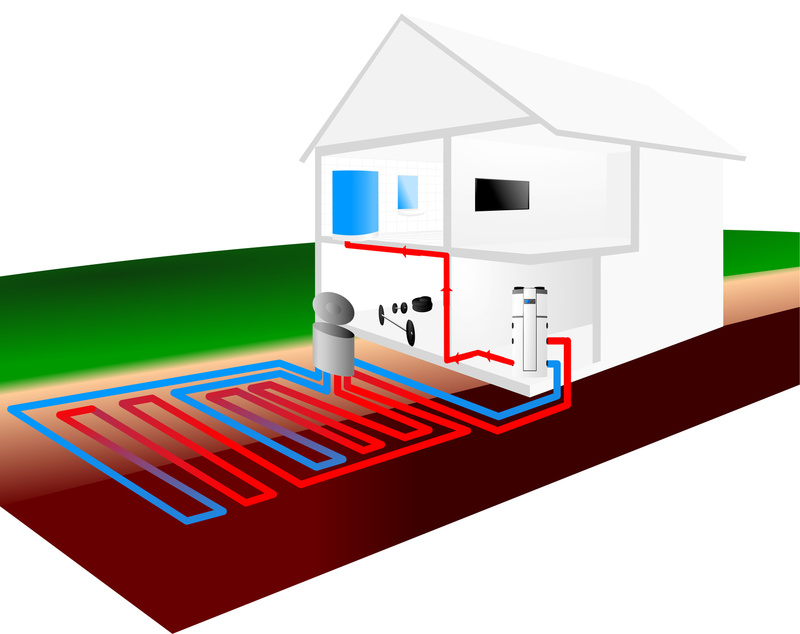 A ground-source or water-source heat pumps achieve higher efficiencies by transferring heat between your house and the ground or a nearby water source. Although they cost more to install, ground source heat pumps have low operating costs because they take advantage of relatively constant ground or water temperatures. Whether this type of heat pump is appropriate for you will depend on the size of your plot, the subsoil, and the landscape. Ground-source or water-source heat pumps can be used in more extreme climates than air-source heat pumps, and customer satisfaction with the systems is very high.